Taking one back in the paleolithic age, the caves of Manipur are truly the tourist destinations you can not miss. Not only offering you an unparalleled experience of taking a walk back in time, but the caves in Manipur are also a perfect adventure getaway for anyone seeking some unmissable thrill. Amongst the oldest cave systems in Manipur are Khangkhui Caves in the Ukhrul District. Built with sedimentary limestone, these popular caves comprise two large chambers and five tunnels which are believed to have been made on the orders of a king named Mangsorwun as a symbol of love for his queen. Pitch dark from inside, this cave system’s major attractions are the formation of different patterns by the limestone on ceiling and walls, which create a mystical experience. 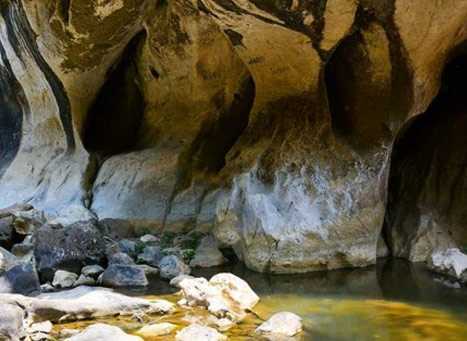 Other most important caves to see in Manipur’s cave tourism is situated in Tamenglong District - Tharon Cave. This series of caves is reckoned to provide authentic evidence of the 2000-year old Hoabinhian Culture in India. The limestone cave of Mova in Hungpung is yet another must-visit cave where the main hall is the major attraction as it can accommodate more than 100 people at a time. The stunning designs due to slow dripping water from the ceiling have adorned this cave with mystical patterns that you can gaze at for hours. Other than Mova, Manipur has worth visiting caves like Sangbu Caves in Chandel District, Nongpok Keithelmanbi Caves in Senapati District, Mongjam Caves in Imphal District, and Wangoo Caves in Bishnupur District.